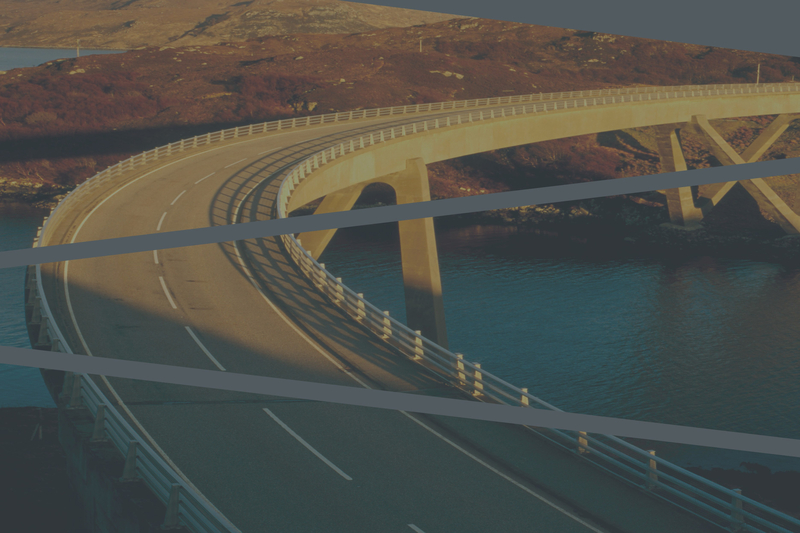 In October 2017, Collaborative Scotland organised a series of public events and business breakfasts and other events in the north-west of Scotland as part of our Better Conversations Bus Tour. The Bus Tour is a new project aiming to build real dialogue and problem-solving capacity, offering an opportunity to discuss in a safe space the really important issues that concern us all, while helping to take some of the heat out of difficult decisions about contentious matters in Scotland’s communities, business and public life. The Bus Tour visited 16 communities in the north and west Highlands. 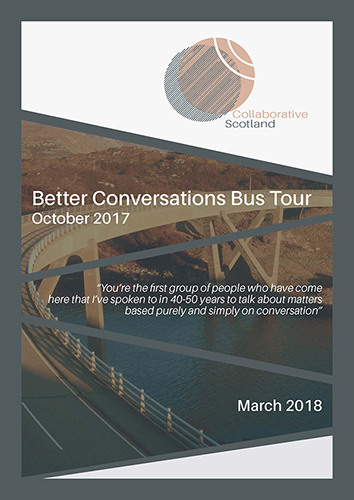 The Better Conversations Bus Tour Report has now been published. The Report contains Collaborative Scotland’s findings and recommendations. It has been launched at a number of events in March 2018. How to make better and more efficient use of existing resources in the communities? How to encourage and enhance collaboration within and across communities? How to attract and accommodate people, especially younger people, through new job opportunities and affordable housing? How to make the best of tourism, while building a sustainable economy? How to attract necessary funding for community projects? How to support local autonomy, decision-making and problem-solving? How to ensure long-term planning rather than merely short-term gain? Read the Commitment to Respectful Dialogue here. Please see below for information about the event we held. You can also download the rather enticing Bus Tour poster here. Read the Bus Tour Press Release here, too. Thanks to Rabbie’s Tours for making sure we get from place to place! I note that this tour seems to be restricted to the towns and villages on the North Coast 500 route. Will there be a similar tour on Skye where we have major problems and badly need a large share of any money provided to improve the tourist experience and try to solve some of the many problems. But perhaps there will be another tour for the Islands – Rabbie’s come here as well and the Crown Estate is involved here too, as is the University of the Highlands.